Dialogue's direct-to-consumer patient education programs deliver brand marketing materials to consumers who have just entered the market and are in the process of learning about their evolving health needs. Your message will have relevance & impact because it will be delivered hand-to-hand via trusted healthcare professionals. Diabetes Outlook®: Educated diabetes patients are serious about managing their condition and actively seek products & services that will help them accomplish their health goals. Diabetes Outlook is often the first time these consumers will learn about their new brand choices and priorities. The program is delivered by certified diabetes educators during education sessions, and by pharmacists during screenings and medication pickup. Dialogue gift kit programs are ideal for product sampling, brand literature and coupon distribution. 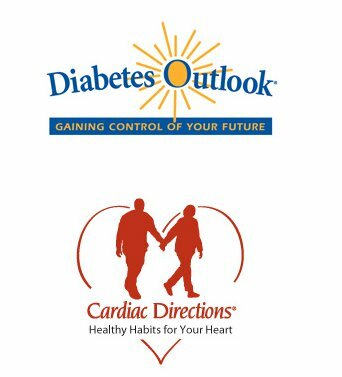 Print advertising is also available via digest-sized educational magazines contained within the Diabetes Outlook and Cardiac Directions Programs. In addition, our vehicles can be leveraged to communicate directly with participating healthcare professionals to help "educate the educators".